KOSMAS is a scholarly journal focusing on Czech, Slovak, and Central European Studies. Published by the Czechoslovak Society of Arts and Sciences, Inc. Since 1982. Ordering of the New Series has been launched. Hard copies of NS (VOL 1 issues #1 #2) can be ordered in the SVU BOOKSTORE. Electronic version is a free bonus available for download in the e-books section – Downloads. 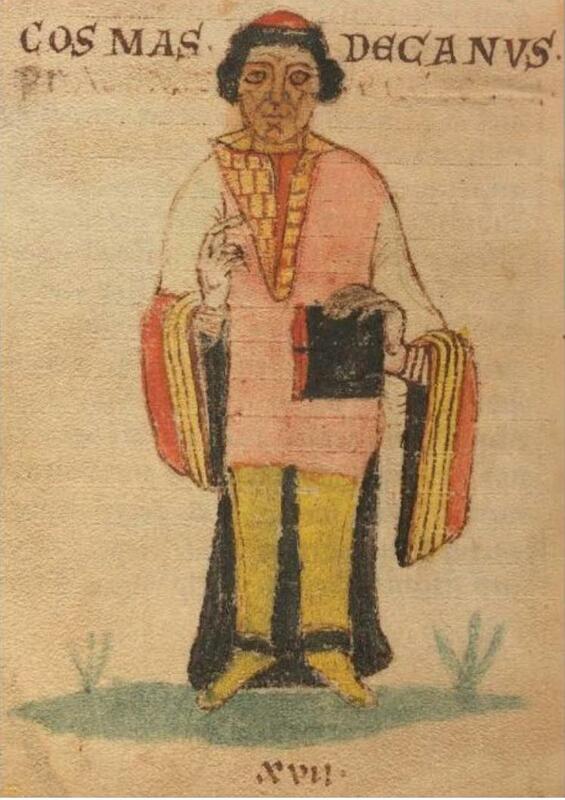 Kosmas, known as Cosmas of Prague or Cosmas Decanus, was a priest, writer and historian born in a noble family in Bohemia (1045–1125). His Chronica Boemorum – Chronicle of the Czechs was the oldest Czech chronicle on the history of the Czechs.